Building a website and getting traffic is not always an overnight process. Making sure that your site is able to get ranked plays a huge role on maintaining consistent traffic flow to your website. With the changes in SEO algorithms over the years, on-page and off-page SEO is always changing with new updates added. Link building remains to be one of the consistent ways to maintain and grow your SEO ranking. Here are just a few of the different link building strategies to build your off-page SEO strategy. Guest blogging is one of the best ways to garner more attention to your website because you can piggy back off of other’s success. Other site owners are already gaining traffic because of their readers who frequent their site. Your job is simply to provide FREE content, quality information, and a call to action to lead people to your website. It’s not only a powerful link that builds itself down the line, but it can give you instant traffic the very moment that they post the article up. As tedious as this may be, it still remains to be a powerful strategy because it opens the door to gaining more traffic and more websites linking to your website. It’s such a powerful strategy that’s fast, quick, and easy for anybody to get links. When following any link building strategy, remember not to link to just your homepage. Your main website page is usually the “welcome” site that doesn’t have the met of the site delivered yet. Take your most powerful pages on your site that you feel deserve to rank higher in the SERPS and focus bringing those to the forefront of your future link building strategies. 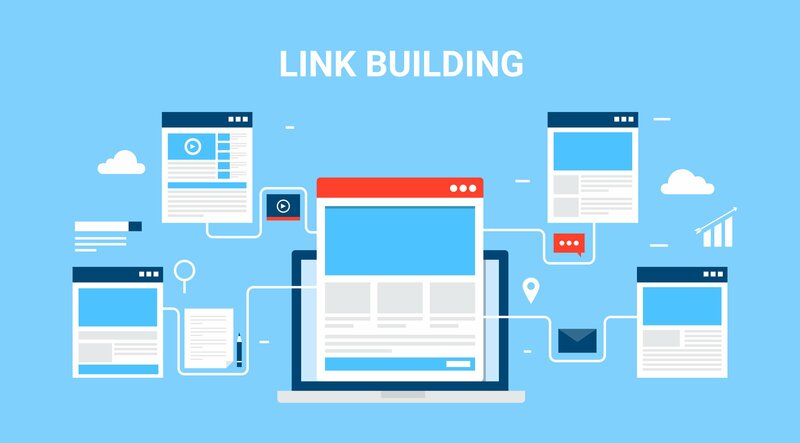 It’s highly recommended to use PureLinq link building solution because of their system in place that opens the door for some serious growth for your website. Drive organic traffic to your site with their program. Utilizing a powerfully simple process to find hyper-targeted and highly contextual impacting sites for their overall database ensuring growth for website developers, bloggers, publishers, and influencers. They have such a simple program in place, so you can get those links you need. You never have to send out a single email begging for links. Their team will submit the content you want to share to other bloggers and site owners generating you a link back to your site. They will continue to outreach for the right people until you get that link back. Utilizing websites and programs like PureLinq can open the door to grab more traffic, garner more relationships online, and utilize parts of the web that you otherwise would not have been aware of. You don’t nee to use old tactics from the early 2000’s to get links to your website. The above tricks will change your marketing game by a mile, but the powerful PureLinq can open the door for you to grow.